Life in Gainesville is not the same as life in other college towns. Not only is the sunny, relaxed city of 128,000 residents home to the state’s pre-eminent research university, it’s also perfectly positioned within America’s favorite state to visit. Whether you’re looking to enjoy the college lifestyle or raise a family, Gainesville and the University of Florida bring a lot to the table. While Gainesville has most of the retail and restaurant chains people are familiar with, the city also features an eclectic collection of locally owned cafes and co-ops throughout its historic downtown. Whether you prefer traditional or more experimental fare, you’re sure to find something unique. If sports are your thing, the Gators need no introduction. UF has 19 Division I teams competing in the South Eastern Conference. Whether you’re up for a down-south Saturday watching the football team at Ben Hill Griffin Stadium or you’d rather spend a lazy Sunday watching the national champion softball team at McKethan Stadium, there’s always a game to look forward to. Gainesville offers amazing access to professional sports, too. If you get homesick for your favorite NFL team, chances are you can catch them at EverBank Field in Jacksonville or Raymond James Stadium in Tampa, both of which are a short drive away. The same goes for baseball, basketball and hockey, too. While the UF’s campus features beautiful gothic architecture and provides world-class amenities, there’s plenty to explore off campus too, especially if you’re up for an outdoor excursion at one of the area’s many parks and preserves. Cyclists will enjoy the Gainesville-Hawthorne State Trail and the nearby San Felasco Hammock, while nature lovers will be in paradise floating down the Ichenetucknee River or visiting Devil’s Den, an underground spring filled with fossils of extinct species dating back 2 million years. Located minutes away from campus, Paynes Prairie is another must see. The nature preserve showcases the diverse array of wildlife in the sunshine state – visitors can see everything from buffalo to alligators – and watching the sun go down over the pristine landscape is something every Gator should experience at least once. Nearly 100 million people visit the Sunshine State every year, so the fun doesn’t end at Gainesville city limits. The Walt Disney World and Universal Studios theme parks are close enough for a day trip, and if a beach day is more your speed, pick a coast! Nearby Cedar Key overlooks the Gulf of Mexico and is a great choice if you’re looking for seafood, while history buffs will enjoy touring St. Augustine, the oldest continuously occupied city in the United States. No matter what you’re looking for, there’s always fun to be had in Florida. 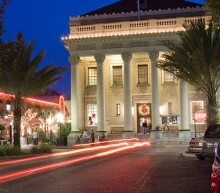 When it comes to arts and culture, Gainesville has one of the most diverse scenes in the region. The Phillips Center for the Performing Arts, located on the edge of campus, hosts dozens of events throughout the year, and the downtown Hippodrome State Theatre has a rich artistic tradition of its own – legendary playwright Tennessee Williams even put on a show there. There’s more to the city than highbrow fare, though. Racing enthusiasts will get a kick out of the Gatornationals – the season opener for the NHRA drag racing season. The annual event started in 1970 and has produced several record-shattering performances, including the first top fuel runs to hit 300 miles per hour. Gainesville also has an amazing live music scene. While many people know it as the former home of Tom Petty and Steven Stills, the city’s musical tradition continues with the annual punk rock festival The Fest, which brings in more than 300 bands who perform at venues all over downtown Gainesville. The #1 to live in the United States, according to Cities Ranked and Rated, 2nd Edition by Sperling and Sander (2007). Included in National Geographic Adventure magazine’s list of the 50 Best Places to Live and Play. Gainesville was ranked #11 in AARP’s Best Places to Reinvent Your Life because of job opportunities, safety and great access to education and training. 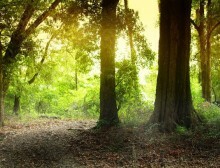 The Arbor Day Foundation has named Gainesville “Tree City USA” for 26 consecutive years. If you’re coming to Gainesville with a significant other, there are plenty of opportunities for a career. While the University of Florida and the UF Health Shands hospital are the biggest employers in the area, Gainesville is also home to Santa Fe College, the nation’s top-ranked community college, and is home to many companies and division offices for several federal agencies.